Stevie Wonder, Janelle Monae, Ledisi, Vic Mensa, and Jazmine Sullivan among those who performed at last night’s (February 28) #JusticeForFlint rally. At Sunday’s #JusticeForFlint event, which was put together by directors Ryan Coogler and Ava DuVernay, music meshed with social justice for an event held to benefit those directly impacted by the water crisis in Flint, Michigan. #JusticeForFlint was streamed online and televised on Puff Daddy’s Revolt TV. The rally was hosted by comedian Hannibal Burress. 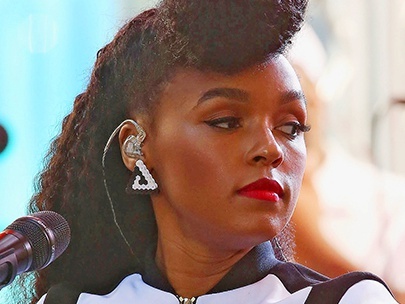 New Orleans-born songstress Ledisi sang along to Sam Cooke’s classic, 1964 record “A Change Is Gonna Come,” while Janelle Monae began her performance wearing a straight jacket. A surprise performance from singer Stevie Wonder closed out the show. Serving as both a rally and fundraiser, #JusticeForFlint raised a total of $133,000, according to a tweet sent by DuVernay. In addition to performances from the likes of Janelle Monae and Stevie Wonder, the rally included stories from those impacted by the crisis in Flint. “One of these poets was pregnant w twins & lost them. A direct result of lead poisoning. She’s here, now. Overstand that. #JUSTICEFORFLINT,” actor/activist Jesse Williams wrote in a tweet sent during the #JusticeForFlint broadcast. Tweets from last night’s #JusticeForFlint event, can be found below.